Can a LinkedIn Recommendation Really Make the Difference in Getting Hired for Jobs in Mental Health? Sometimes there can be tight competition for jobs in mental health an one thing can make a difference. One key component to your job search should be to start acquiring some relevant recommendations on LinkedIn. There is no doubt that employer are using LinkedIn to find and research candidates for open positions. Many times, before you are even called or invited for an interview, a hiring manager will check you out on there to see what your accomplishments are, who you are connected to and who is recommending you. This last one is important because many people are not thinking to work on building this up and it could give you a real leg up on the competition. So, just what is a “Recommendation” on LinkedIn. Well, if you’re a Facebook’er – consider it like a glorified “Like” for the business set, but with more substance. You can get Recommendations from your current employer, supervisor, clients, colleagues, classmates, suppliers and business associates that affirm your skills and accomplishments. They can vouch for your positive work ethic, caring attitude and professional demeanor. This makes your LinkedIn profile look amazing but, better yet, is very impressive to hiring managers. 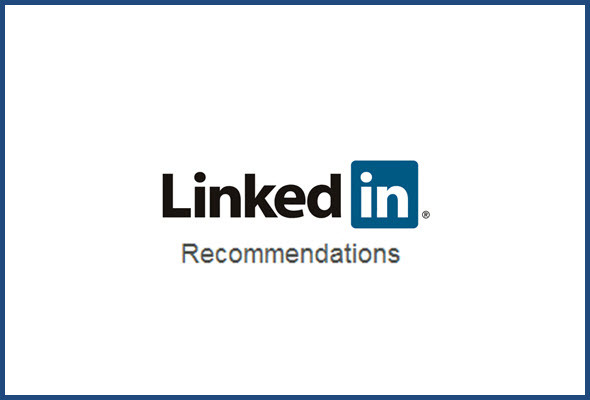 Getting Recommendations on LinkedIn isn’t as difficult as it sounds. Most people that would give you one would also love to get one. Before you start mass-requesting Recommendations, start being a Giver. Start giving Recommendations to anyone and everyone that you can ethically do this for. Then, at some point, ask them to return the favor. Not all will but many will do so in short order. Start with people that you have worked with in the past and have actual business relationships with. These are the ones that will carry the most weight. Once you have done this, you should move on and try to get some more Recommendations from other sources. Consider looking at connections through professional organizations. There are likely other people in there that are looking for Recommendations as well. Look at the other Contacts and Connections that you have and see if any of those would be a fit and would trade Recommendations with you. Send them off a message and tell them what you are trying to do. You won’t get a positive response from all of them but you will get some and that’s the idea of this whole exercise. 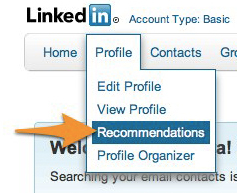 Requesting and Managing Recommendations in LinkedIn is simple once you start doing it and get the hang of it. The section for this is located in your Profile/Recommendations. As you ask people for recommendations, you may want to give them reminders or “hints” about work or projects that you had done together. The more information that you can simply hand to them, the more likely that you are to get a quick and positive response to your request. As you embark on your job search for jobs in mental health, don’t ignore LinkedIn or it’s valuable Recommendations feature as a way to give you a clear advantage.